Figurative Capitals. 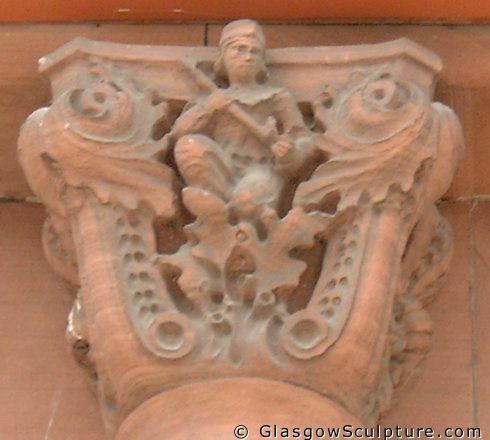 British Linen Company Bank, (1897-1900), 816 Govan Road, Glasgow. Modeller: Johan Keller (1863-1944). Carver: R Ferris (fl. 1886-1915). Architects: James Salmon II (1873-1924) & JG Gillespie (1870-1926).